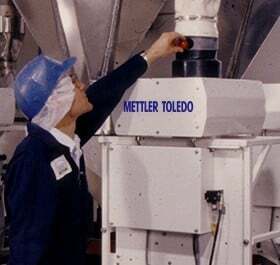 With unrivalled levels of detection sensitivity and designed to deliver ultimate product quality and total peace of mind for you and your customers, METTLER TOLEDO Safelines GF and Y-Valve gravity fall equipment inspect bulk free falling fine powder and granular products for metal contamination. High frequency operation and sophisticated electronic filtering techniques combine to deliver the ultimate in metal detection sensitivity. This enables all metals to be identified in the product flow. Contaminants readily detected include ferrous, non-ferrous (including aluminium) and the most difficult to find non-magnetic stainless steels. On detection of metal, a fully automatic, high speed reject device is operated by diverting the contaminated product and isolating it from the main product flow. The combination of maximum detection capability and the most efficient rejection systems lead to optimised operational efficiency, maximised profitability, and compliance with both internal and external standards and regulations. Set up could not be easier through a choice of easy to use intuitive operator interfaces which can be located either adjacent to, or remotely from the working environment. Key Panel HMI – a robust, menu-driven membrane key panel provides access to the detectors operating system. An intuitive, multiple-language interface maximises operator efficiency and minimises training requirements. Touch Screen HMI – a full-colour touch-screen interface, with an intuitive icon-driven menu provides easy operator access to additional features. 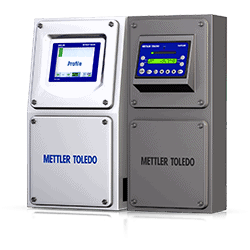 All METTLER TOLEDO Safeline gravity fall systems utilise patented Internal Cancellation Field (ICF) technology which enables them to be installed close to other metal structures without compromising sensitivity performance. This technology, combined with the compact, innovative reject device design, means that Sealtite and Open Diverter systems offer the best overall space-saving solutions for situations where height is restricted. Gravity FlowHD metal detection systems deliver unrivalled levels of detection sensitivity to all metal contaminants in bulk, free flowing powders and granular products. Gravity FlowSD metal detection systems deliver unrivalled levels of detection sensitivity to all metal contaminants in bulk, free flowing powders and granular products. Gravity fall metal detection systems controlled from a membrane style operator interface, for the inspection of powders and granular products. Gravity fall metal detection systems controlled from a full-colour touchscreen operator interface, for the inspection of powders and granular products.